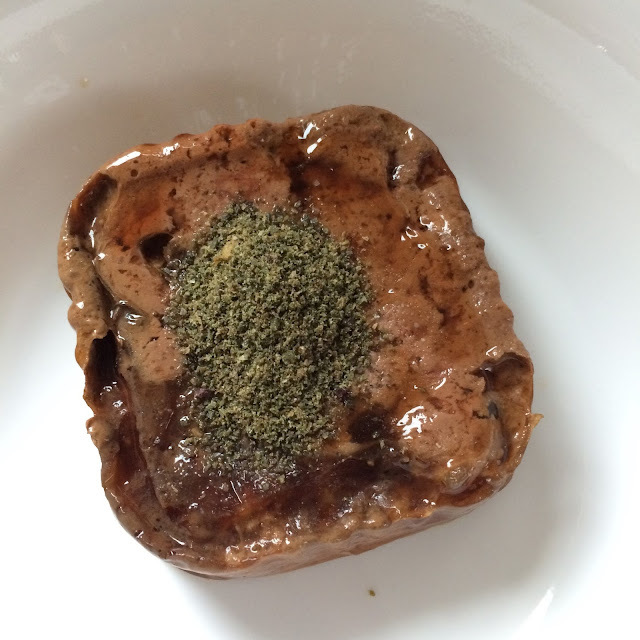 If you're new here, Venus and I are part of the Chewy Influencer program, which means each month Venus gets to try something new that Chewy has to offer in their online store. Chewy.com has a wide variety of pet food ranging from wet to dry to raw to freeze dried, as well as treats, toys, and other pet supplies for cats, dogs, and more! 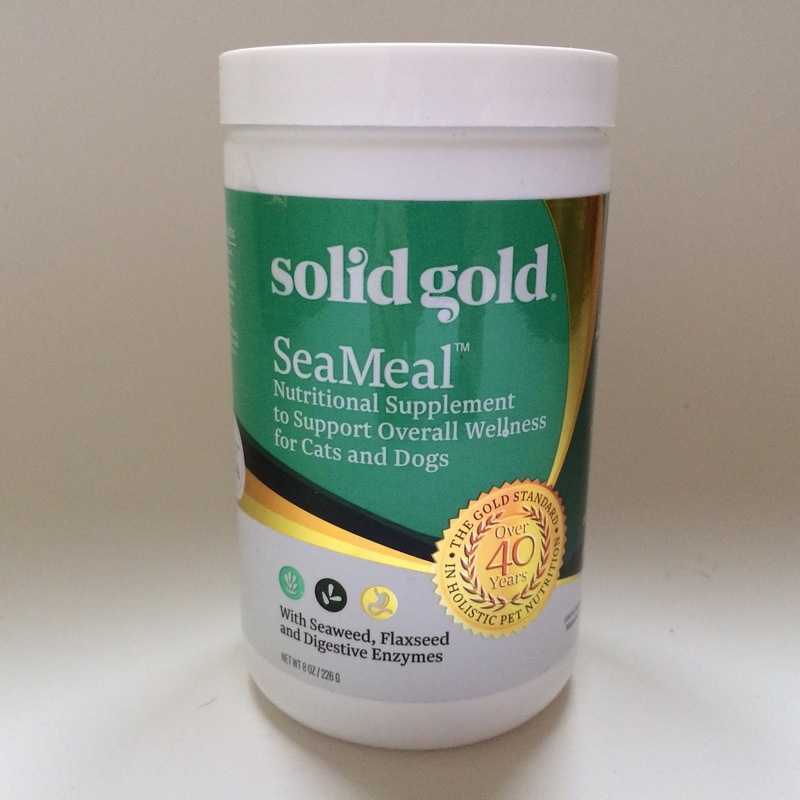 For the month of April, Chewy sent Venus a jar of Sold Gold SeaMeal Dog & Cat Supplement to try. 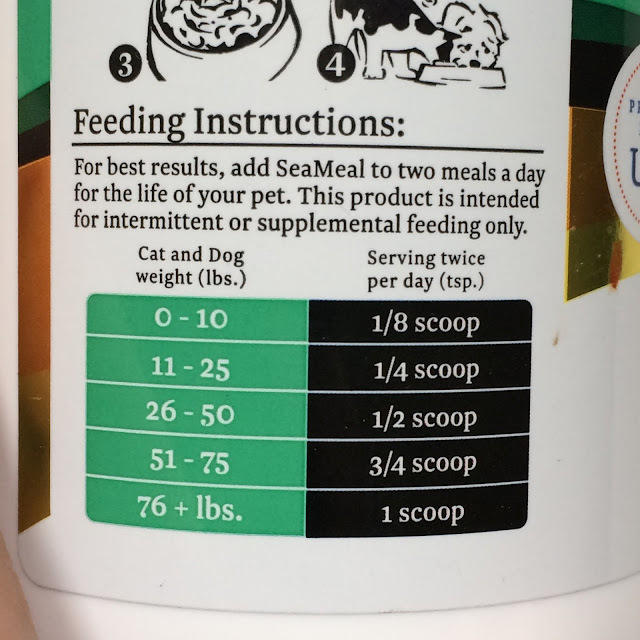 Since we feed Venus both home-cooked and store-bought food, I find supplementation very important just so I know that she's getting all the important nutrients she needs to be healthy. 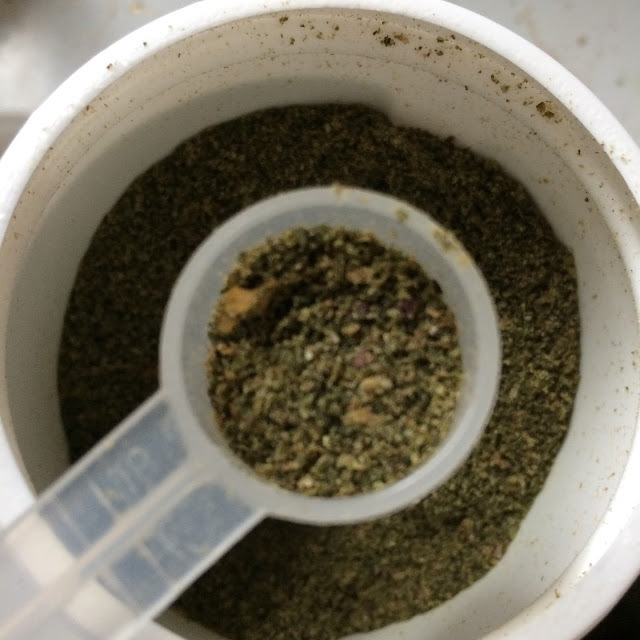 SealMeal is made with a mix of red, green, and brown seaweed that provides vitamins, minerals, amino acids, and antioxidants. It also contains flaxseed which is an excellent source of omega-3 fatty acids and digestive enzymes to help her body process her food more efficiently. 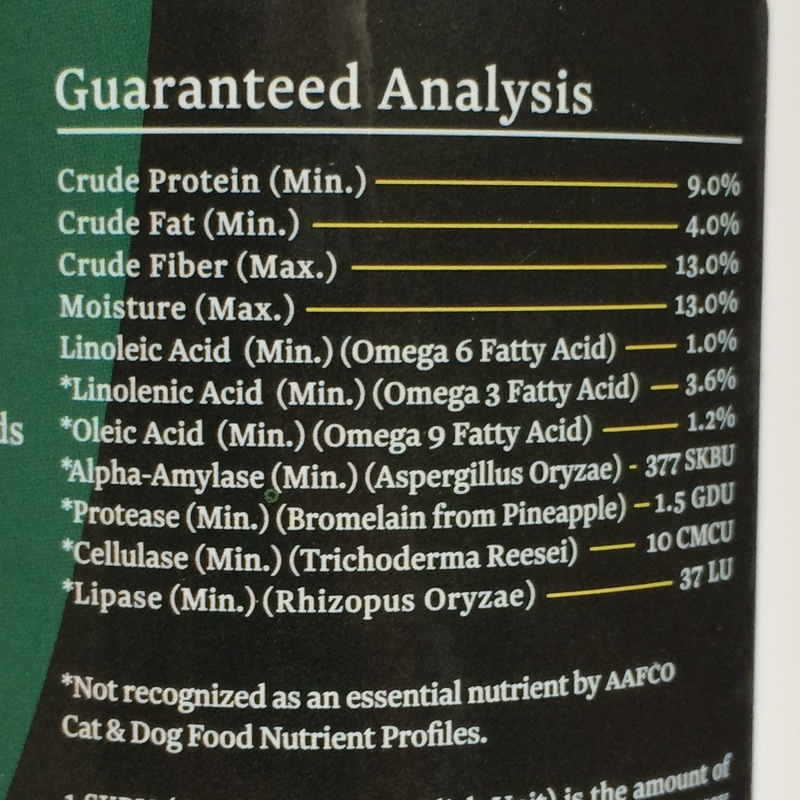 This supplement comes in powder form that you just add to your cat or dogs food. Venus weighs about 20 pounds, so our 8oz jar of SeaMeal should last us quite a long time! 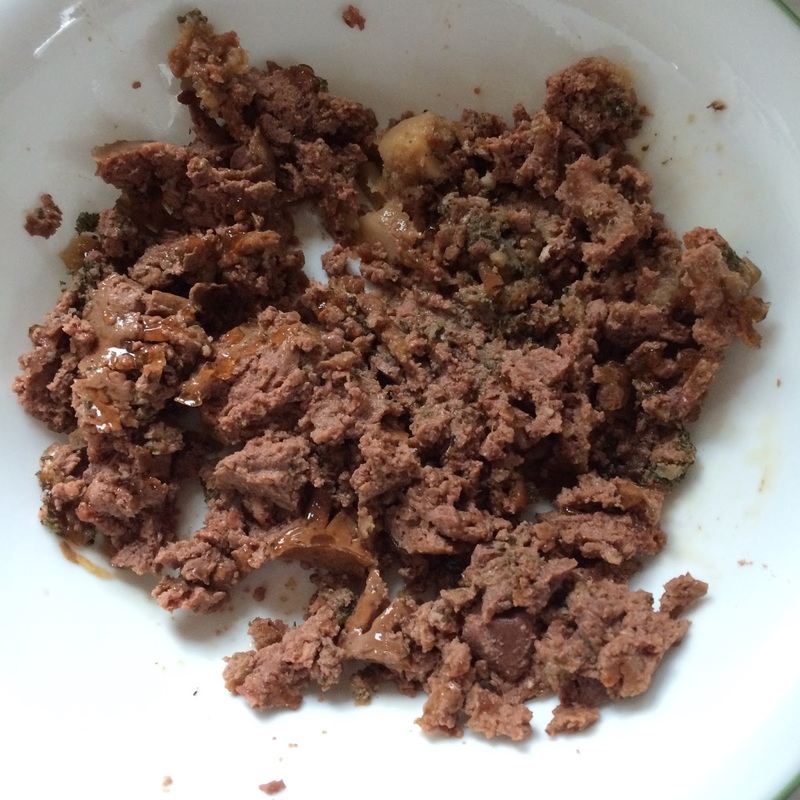 It's incredibly easy to feed to Venus, I just sprinkle it into her wet or homemade food and mash it up. 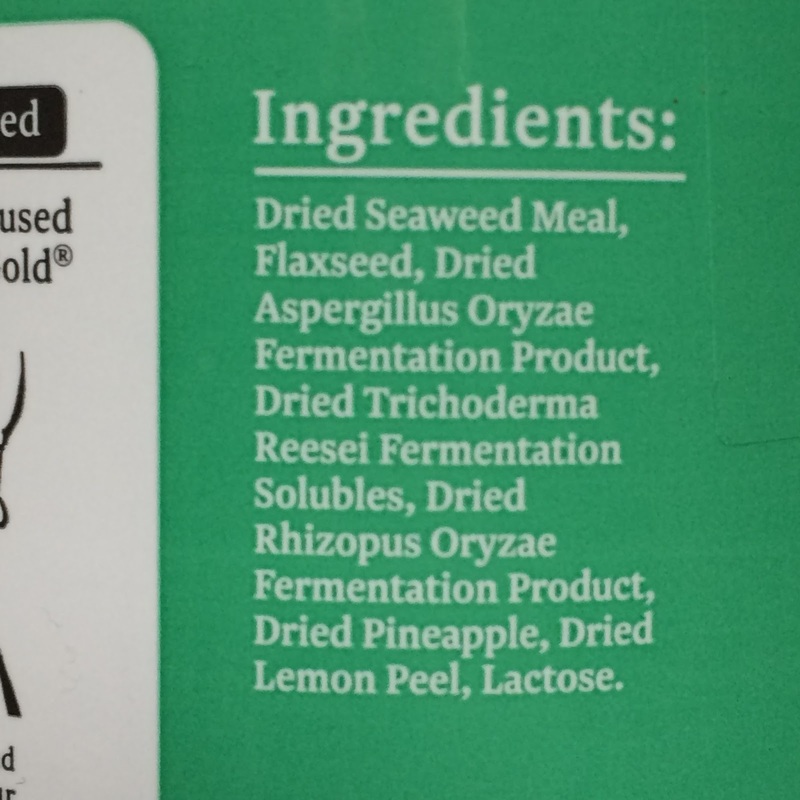 When I feed dry food, I just sprinkle some on top. She tends to graze with dry food so I don't add any water. 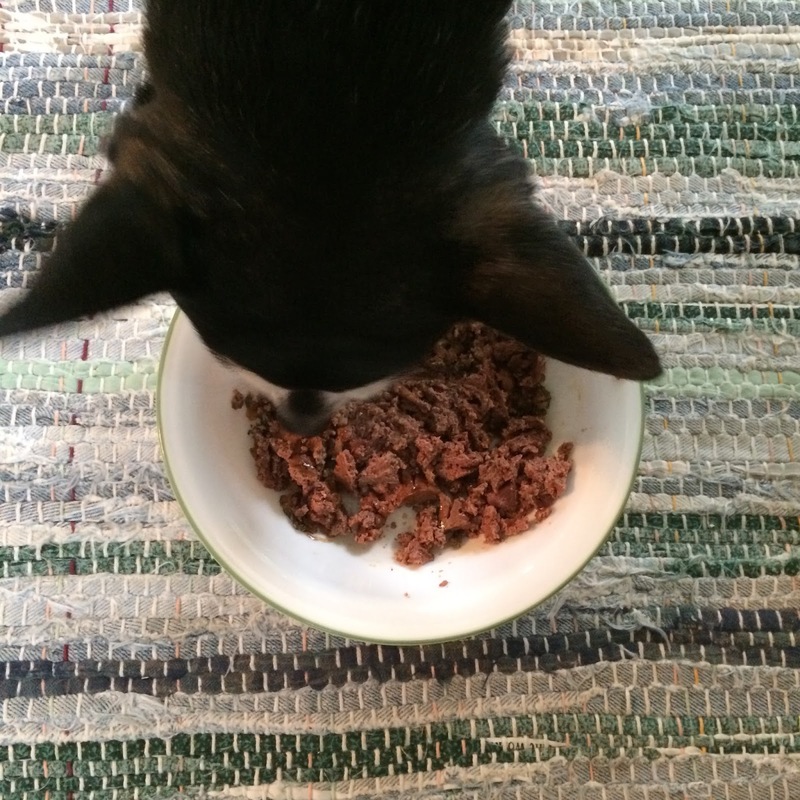 She doesn't seem to mind the flavor of the SeaMeal, or just simply cannot taste it, because she still eats her favorite meals with gusto! We've only been feeding Sold Gold SeaMeal to Venus for a few weeks now, but I already noticed her coat is shinier and she has a bit more spring in her step. I'm excited to use this supplement long-term and see what else it can do for her!